there really is nothing more fitting under the comfort food category than chili. it’s healthy, it’s delicious, and it’s easy to make. and it makes your neighbors walk by your open window and stop to ask you what you’re making for dinner because it smells so good! this is a recipe from our family cookbook. this was my first attempt at making it, and i’m glad i did. it might look like there are a lot of ingredients, but almost all of them are pantry items and spices. 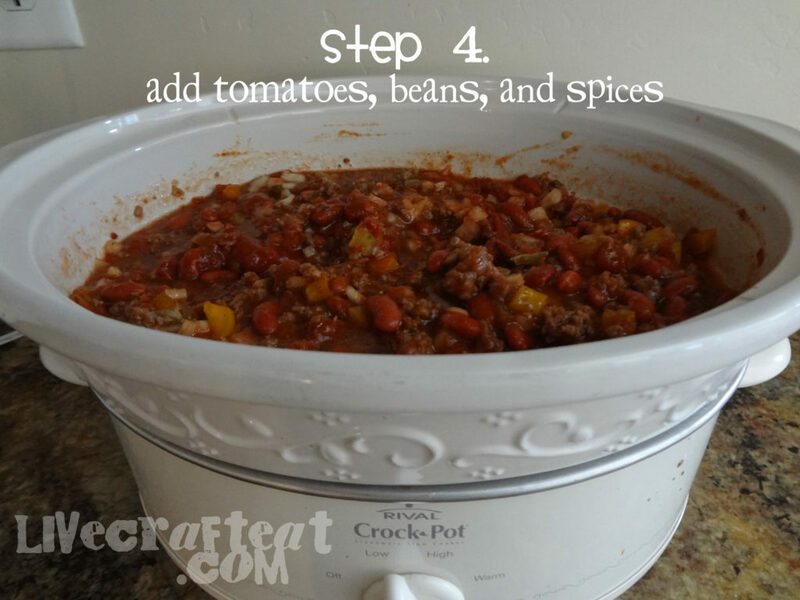 it does not take a long time to put together, and because it cooks in the crock pot, you can make it in the morning and dinner will be waiting for you whenever you’re ready! please note: this makes a lot of chili! this was fine by us, because we used the leftovers during the week to serve over top of baked potatoes, and also in chili rice wraps (the super easy recipe for that will be coming soon, too, i’m sure). Brown and drain the hamburger. Brown, but do not drain the sausage. 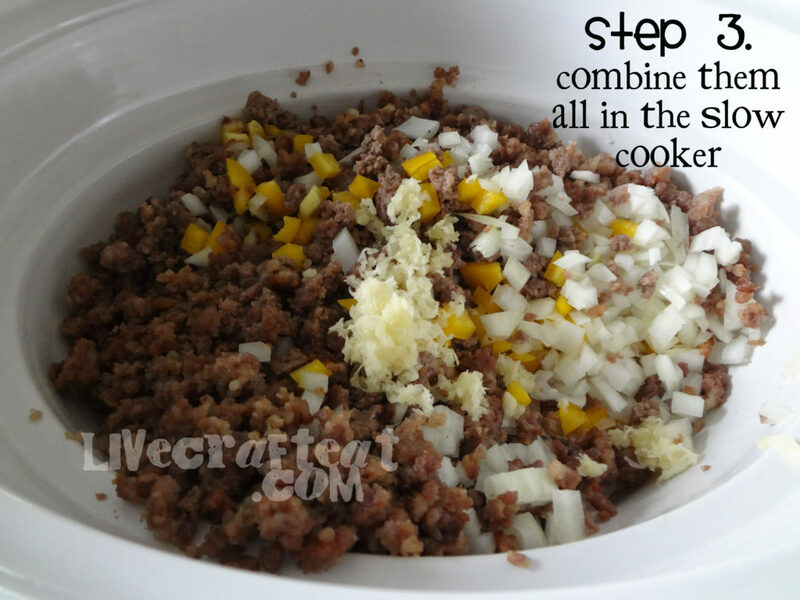 Combine all in a slow cooker and cook on LOW for about 6 hours. I think we will have chili soon! Thanks for having a print button for the recipe, very easy! 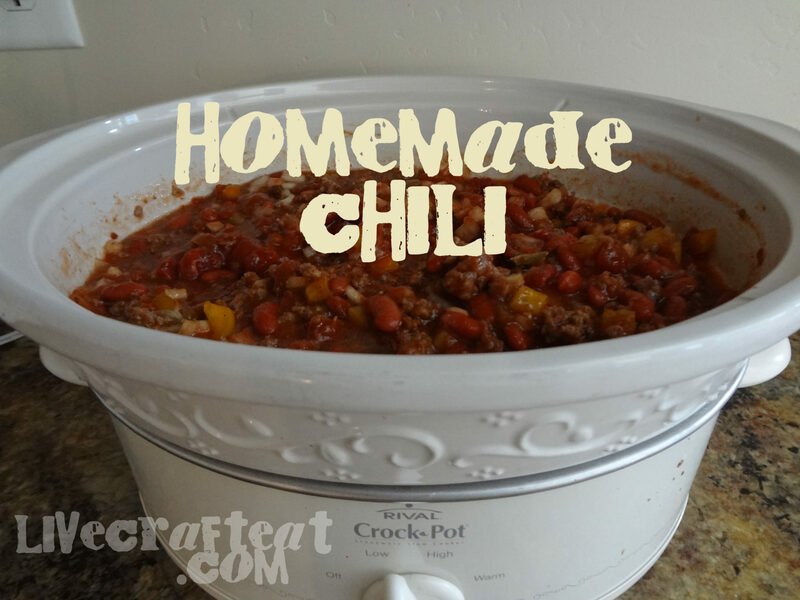 I love the smell of homemade chili. Looks like a recipe I’ll have to try soon! 6 hours in the slow cooker on low? med? or high? Hi Evon! It’s for 6 hours on low. This looks great! Just wondering though- what’s the butter for? Am I supposed to cook the vegetables before I add them to the slow cooker? Thanks!! to be 100% honest, i’m not completely sure what it does – but i know it tastes really good, so i keep using it! 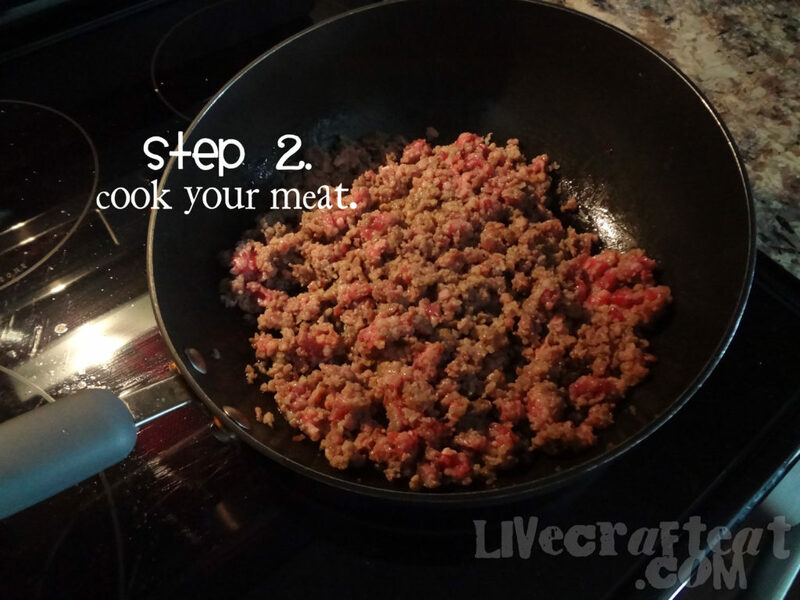 and, no, you don’t need to cook the vegetables before you add them to the slow cooker – just the ground beef and sausage. great question! 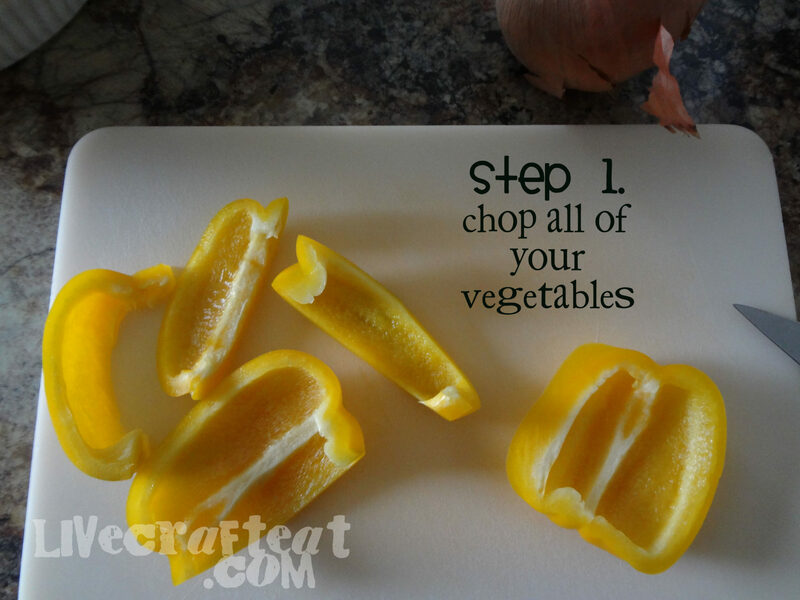 I just had to let you know that I’ve made this recipe a few times now and it is unbelievable! I’ve received rave reviews! I’m making it today again for a group of cowboys. I know they’re going to love it! Thanks again!